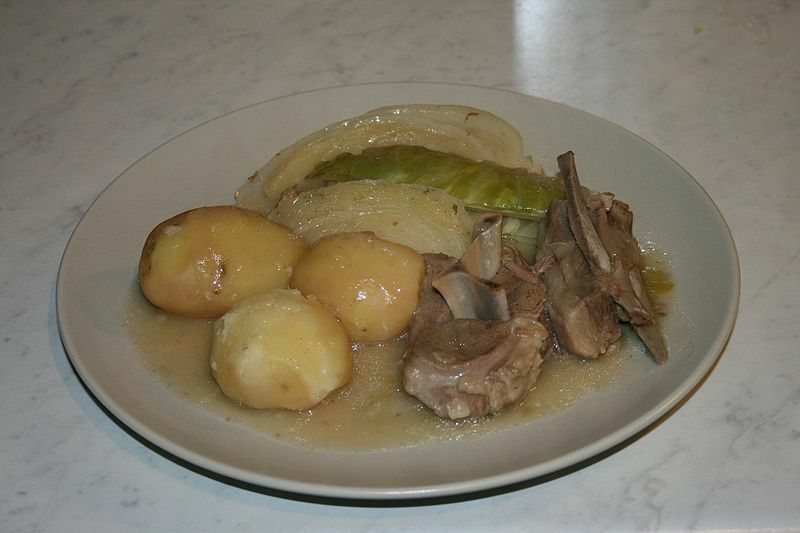 Fårikål is a traditional Norwegian dish, consisting of pieces of mutton with bone, cabbage, whole black pepper and a little wheat flour, cooked for several hours in a casserole, traditionally served with potatoes boiled in their jackets. The dish is typically prepared in early autumn. Fårikål is originally a dish from the Western part of Norway, but is now enjoyed in all parts of the country. In the 1970s, fårikål was elected national dish of Norway by a popular radio programme. Fårikål literally means "Mutton in cabbage".